Quaker Hill, along Center Drive near the park entrance at Prospect Park Southwest and 16th Street contains a cemetery that was established by the Society of Friends before Prospect Park was built. 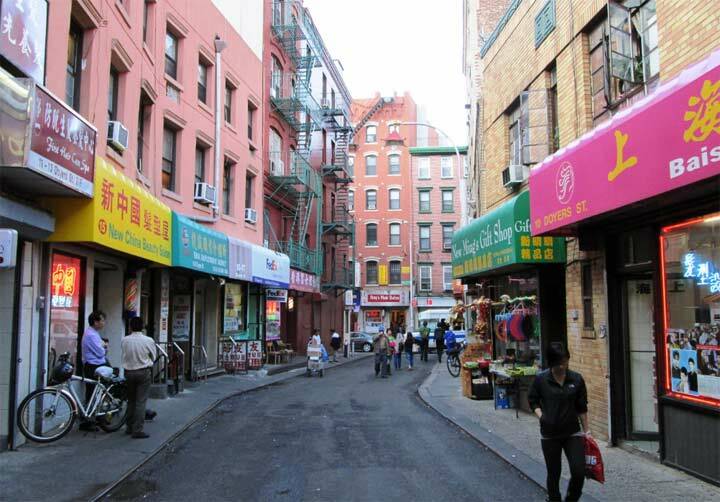 The cemetery was originally loacted between 11th and 12th Avenue and 9th and 14th Streets, which were demapped in 1866; by agreement, the Society retained the southern two-fifths of the burial ground. Burials here date to the 1820s. The park was simply built around the cemetery and no trace now remains of the cross streets that surrounded it. Actor Montgomery Clift (1920-1966) is buried here. Clift, a great friend of Elizabeth Taylor, starred with her in A Place in The Sun (1951) and Suddenly Last Summer (1959). He was nominated for Best Actor for The Search (1948), Sun and From Here to Eternity (1953) where he was unforgettable as the rebellious soldier Robert E. Lee Prewitt. Clift was plagued by alcoholism and health problems for much of his career, and died of a heart attack in 1966. Clift’s gravestone at Quaker Cemetery was purportedly designed by John Benson, who designed John F. Kennedy’s at Arlington National Cemetery. An Omaha native, he lived in a Manhattan brownstone in the years before his death. 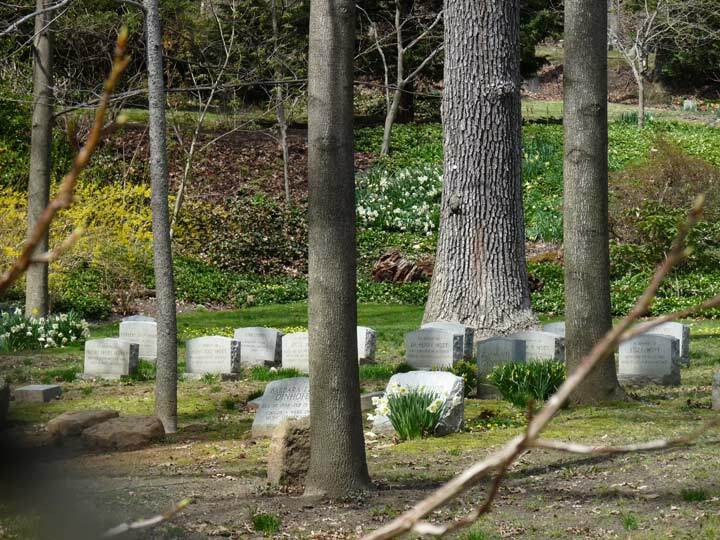 You will find Quaker Cemetery locked behind a gate as a rule, and it is inconspicuous in a wooded area off the main drive. There are no ostentatious stones or tombs, per Quaker custom. Montgomery Clift’ s grave is visible from the outside. 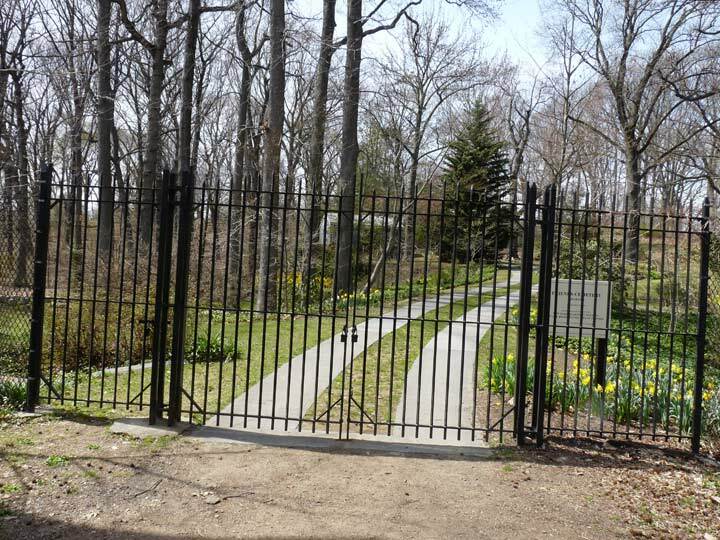 As you face the gate, go to the right side and walk up the hill to the top, along the cemetery fence. When you get to the top, turn 180° and walk back down, with the graves now to the river guy of you. His gravestone is near the top just in from the fence. But the writing on it is only visible from this direction. Why is Montgomery Clift buried there? Monty’s mother became enamored with the Quaker religion in her later years. 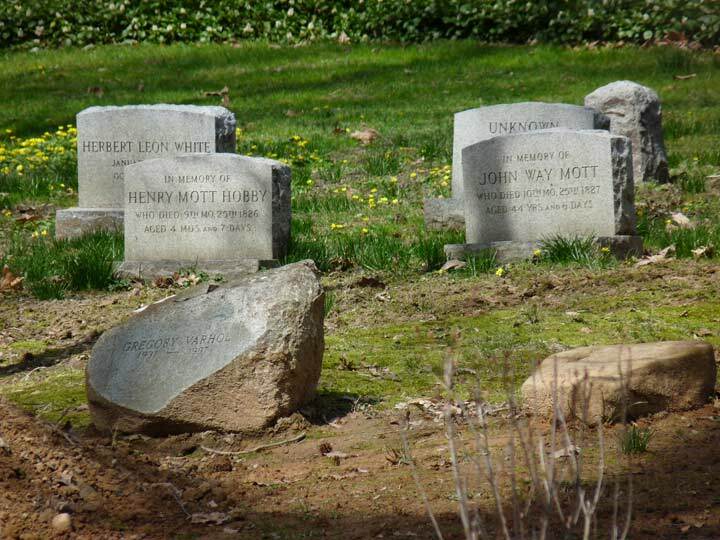 All members–except for his twin sister–of Clift’s immediate family are buried there. Thank you for this information, however, I went to the cemetery the other day. I did as you said and walked along the fence to the top and then turned around and walked back down, but I didn’t notice any graves. Looking at the gate and to the left there were some graves near the office but I could not make out the names on the headstones. I will have to go back and try again.